Many parents and caregivers are very eager to practice Spanish at Pine Village. 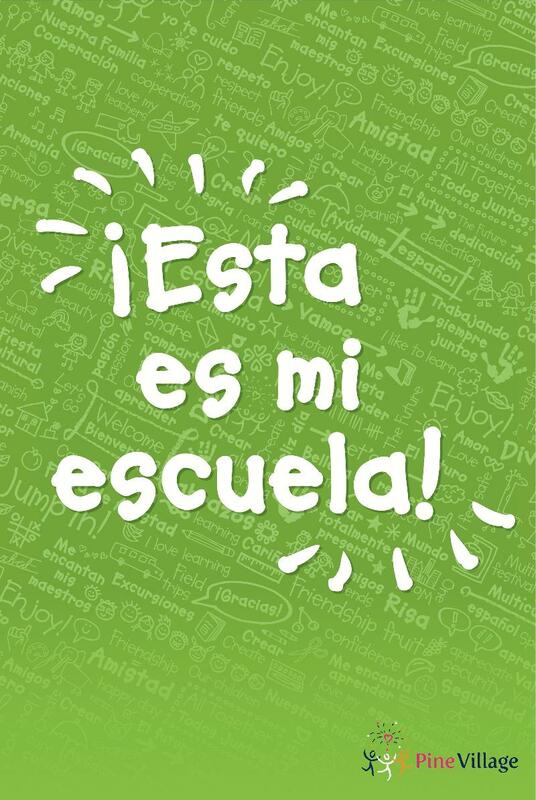 Conversing with the teachers in Spanish is a great way to get information about your child on a daily basis while also enhancing your own language skills! The following phrases are very simple and easy to practice every day. Choose a phrase each day and practice, practice and practice. Most of the time your child’s teacher will tell you this information without you asking but it is a great way to also practice listening and comprehending. We are sure you will feel more comfortable and ready to learn more. Están…afuera, en el parque, en el salón. They are…outside, at the park, in the classroom. Hoy… pintamos, jugamos afuera, leímos un cuento, hicimos yoga. Today… we painted, we played outside, we read a story, we did yoga. ¿Que aprendieron los niños hoy? What did the children learn today? Hoy aprendimos sobre… los planetas, los animales, el invierno. Today we learned about… planets, animals, the winter. ¿Qué tengo que traer mañana? What do I need to bring tomorrow? Mañana tiene que traer… un juguete, pijamas, un libro, una foto. Tomorrow you need to bring…a toy, pajamas, a book, a picture.